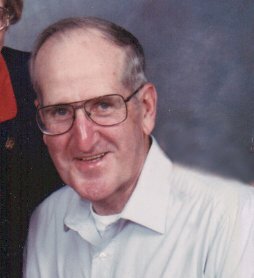 Burley William Johnson, Sr. of Kingwood WV (Pleasantdale Community) passed away Friday, April 5, at Preston Memorial Hospital. He was a beloved husband, father, grandfather and great-grandfather. Burley was born Dec. 24, 1936 in Borgman, WV, the third son of Flora Florence (Teets) and Artie Franklin Johnson. A lifetime athlete, Burley excelled at baseball and football at Kingwood High School where he graduated in 1954. He was employed as a Pipefitter, a 53-year member of UA Local 152 Plumbers and Pipefitters Union, Morgantown WV. An avid golfer, he won many awards at Preston Country Club where he was a member. He enjoyed hunting with his son, brothers and nephews. Burley was also a graduate of Radio and Technical College of Kent OH, and for many years he enjoyed fixing TVs and radios for friends and family. He is survived by his wife of 58-years, Betty, his son Burley Jr. “Bill” and wife Jamie of Morgantown; his daughters Tracy & husband Bill Wheeler, and Amy Johnson both of Kingwood; his sister, Shirley Johnson of Cheat Lake WV; sister-in-law Karen Johnson of Warminster PA; nine grandchildren and spouses; Shane (Amber) Wheeler of Albright WV, Sara Wheeler of Robinson IL, Olivia Ward, Elizabeth (AJ) Anderson, and Georgia Ward (David Hart) of St. Cloud MN, Ashlee and Amylia Weston, Justin Wheeler (Jessica Ayersman), and Ryan (Kendra) Wheeler, all of Kingwood; six great-grandchildren; Amaya, Kamden, Bailey, Halle, Landon and Lyncoln Wheeler; many very dear nieces and nephews. In addition to his parents Burley was preceded in death by his brothers and spouses; Howard “Buss” & Pansy Johnson, Everett “Chum” & Mary Joretha Johnson, and Don Johnson. Friends will be received at the Rotruck-Lobb Kingwood Chapel; 295 South Price Street, on Sunday, April 7, 2019, from 3:00 pm - 8:00pm; on Monday, April 8, 2019, from 10:00 am to the time of the service in the funeral home chapel at 11:00 am with Rev. Paul Rebelo officiating. Entombment will be in the Sunset Memorial Gardens Niche Wall. The family wishes to thank the Hospice nurses who were so very kind to Burley; Shelly, Jodi, Courtney and Tina. The family requests that any memorial donations may be made in Burley’s memory to WV Caring Volunteer Department, P.O. Box 760, Arthurdale, WV 26520. Personal condolences may be made to the family online at www.rotruck-lobb.com.